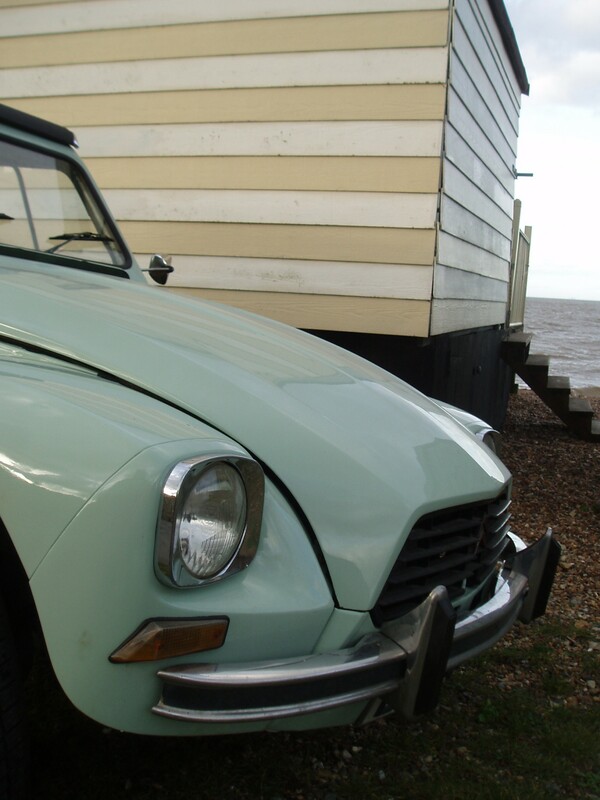 Our Dyane, affectionately known as “Kermit”, is a great fun car to drive. He has had a full body restoration including new seats, roof and chassis. The Dyane was a development of the Citroën 2CV, and was intended as an answer to the increasingly popular Renault 4, which after its introduction in 1961 had affected 2CV sales. The Dyane was designed from the outset as a hatchback with some other styling differences, such as conventional round headlamps set into the front fender with a squared stainless steel trim ring – as opposed to the old-fashioned separate units found on the 2CV. 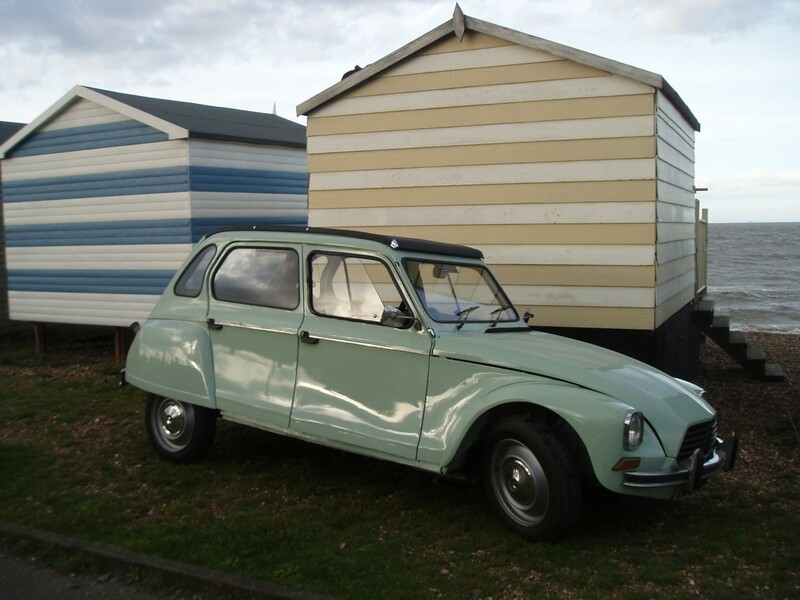 It was and is often asserted that the Dyane was intended to replace the 2CV, but it was nevertheless aimed slightly higher in the Citroën range – between the 2CV and the Ami – and attracted a different clientele seeking the versatility offered by the Dyane's hatchback. The car was commended for its versatility, spaciousness and comfort as well as for unexpectedly good road holding and fuel economy "when not driven hard"! There are now only about 500 of these cars left in the country. Nearly as exclusive as driving a Ferrari! Available all year round for days and weekly hire. Why not call us now for a new driving experience?